This question comes up very often! 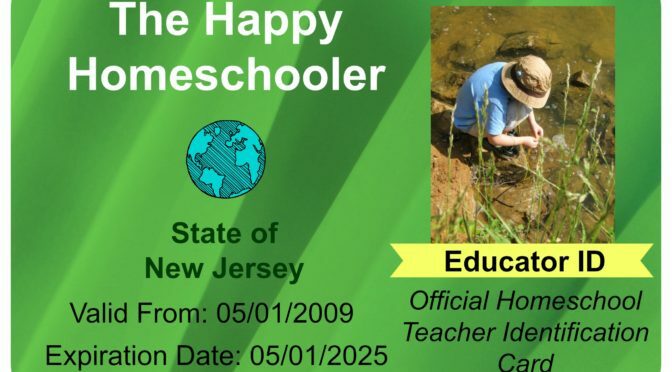 You need homeschool Ids for all sorts of things. From getting admitted to Six Flags with your Read To Succeed Tickets, to Barnes and Noble Discounts. Many people that I talk to use their letter of intend to homeschool as a proof of homeschooling. I prefer an identification card. It is more durable and easy to just throw it in my wallet. Here are a few places that you can create a photo ID, and some will even ship it to you, for a small fee of course. If you print your own, make sure you use card stock paper, and get a self sealing laminating pouch. 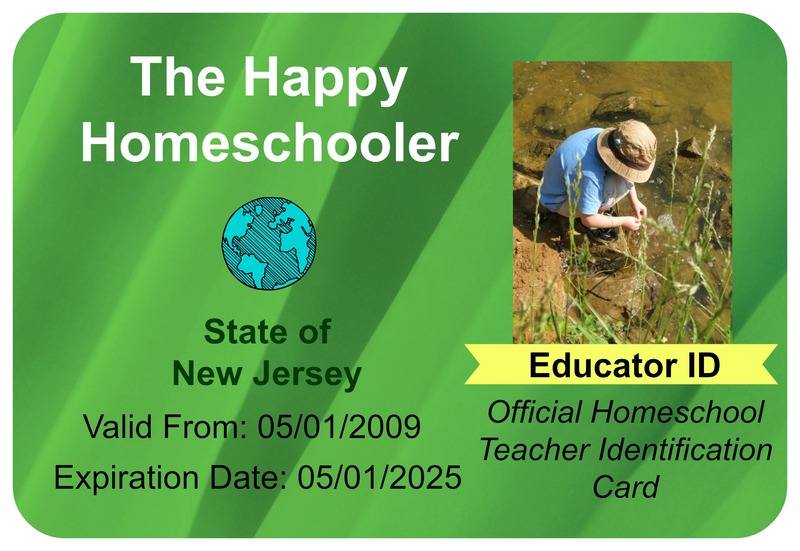 Here are a few options as to where to create a homeschool ID cards. Make one on your own using Word or Excel. If you don’t have Word or Excel, you can use Gimp. Update: since I have written this article, PicMonkey changed to a paid version only. There is no more free version available. Instead, try Canva. They even have a school ID template available, making it super easy! They also have a myriad of other useful templates: report cards, lesson plans, worksheets, and more. See all of the Canva Templates here. -Start by choosing Design, and then picking the right size canvas for you. -Crop it to the right size, add a background color. -Click on Overlays, and choose ‘your own’ on the top left. Pick a photo from your PC that you would like to display. -After that add and position the text wherever you see fit. -Add rounded corners (in the border section), and a regular simple border. -Change the colors to what ever you like, and you are all set. -Save to your computer, and print on card stock. Easy ID Card Online ID Badge Maker was easy to use, and it made a beautiful ID. It is not expensive (under $15.00), but it’s also not free. I did enjoy making the card there, all the pictures, backgrounds, text fields, etc. were replaceable and the text could be edited. 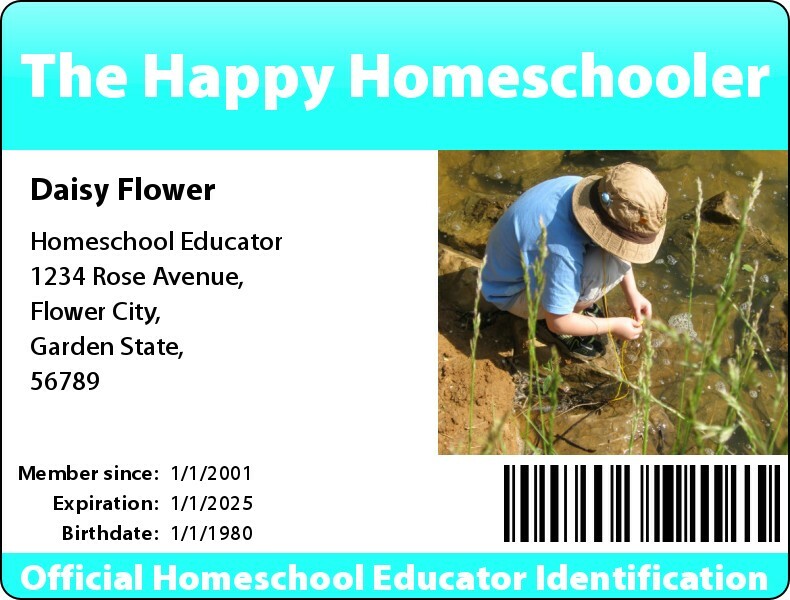 Homeschool Buyers Coop has a template that allows you to create your own ID Card. You can choose from teacher and student IDs. Print at home or have them ship it to you for a small price. HSLDA offers a chance to purchase an inexpensive teacher and student photo ID cards for their members. If you are a member, or would like to be, this looks like a great quality ID card. ID Creator is another site that allows you to create ID’s easily. They offer the first card free.